A Collagen Supplement Is A Must Have For Skin Care! You may ask, "Why is a collagen supplement so important?" Collagen is a major structural protein that makes up 75 percent of our skin and can be obtained through a pure collagen supplement. It plays a key role in providing the structural scaffolding for cells in the skin, tissues, and organs. In fact, if it weren't for collagen, the body would literally fall apart! 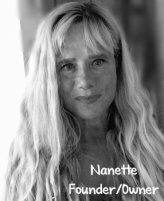 My name is Nanette and I am a Certified Master Herbalist who has studied health for many years. I will be explaining to you the function of collagen and why supplementation is important. You see, collagen gives the skin its strength and durability (an important feature for those suffering from psoriasis, eczema and dry scalp conditions) and is responsible for the smooth, plump appearance of young, healthy skin. Understanding the structure and function of collagen will help you better know how to maintain a healthy, and yes, even more youthful appearance. Collagen is created by fibroblasts, which are specialized skin cells located in the dermis. Fibroblasts also produce other skin structural proteins such as elastin (a protein which gives the skin its ability to snap back). Collagen synthesis occurs continuously throughout our lives to repair and replace damaged collagen tissue or build new cellular structures. The degradation and recycling of old or damaged collagen is a healthy, natural process used to create protein fragments needed to build new cellular structures, such as in the healing process. With age, collagen levels drop off due to a decrease in production and an increase in degradation. Promoting the Synthesis of New Collagen - There are many ways to promote the synthesis of new, healthy collagen. 1) First, you can provide the skin with a reserve of vitamin C. As a necessary co-factor in collagen synthesis, vitamin C is proven to increase the production of collagen. One study showed that extended exposure of human connective-tissue cells to vitamin C stimulated an eight-fold increase in the synthesis of collagen. 2) Another way to promote the synthesis of collagen is to use special creams formulated to break down the bonds between cells of the stratum corneum and slough away dead skin. Consistent exfoliation stimulates cell renewal. 3) A third way - and MOST IMPORTANT WAY - to promote collagen synthesis is to begin taking a high quality collagen supplement. Fibroblasts are naturally stimulated to begin the synthesis of collagen when specific combinations of peptide signal molecules (fibroblast growth factors) bind to receptor sites on the fibroblast membrane. Collagen Supplement Type II is an abundant source of our much depleted collagen that is the main structure building block of our skin, bones and joint cartilage. Collagen Supplement II is easy to absorb providing nourishment directly to those areas in need. Its absorption rate is around 70% to 90%, while shark cartilage is only 8%. A pure collagen supplement is naturally rich in proteoglycans such as glucosamine sulfate, chrondroitin sulfate, and hyaluronic acid. 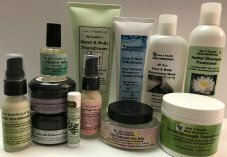 Conditions such as psoriasis, eczema, dermatitis and dry scalp are all greatly helped "from the inside out" with this amazing supplement. The best way to maintain a healthy, youthful looking appearance is to protect the healthy collagen you currently have and to prevent future collagen degradation. There are two main ways to do this: 1) avoid excessive UVA and UVB radiation and 2) prevent free radical damage. Excessive exposure to ultraviolet (UVA and UVB) radiation emanating from the sun is the most prolific contributor to premature skin aging, accounting for an estimated 90 percent of the signs associated with aging skin. Limiting your time in direct sun light and wearing a daily sunscreen can do much to protect healthy collagen. The second preventive step in protecting existing and future collagen levels is supplementation with both oral and topical antioxidants. As antioxidants fight free radicals from UV light, ozone, pollution, cigarette smoke, and internal metabolic processes, they prevent the degradation of existing collagen fibers and protect the healthy function of fibroblast cells. Because collagen gives the skin its strength, durability, and smooth, plump appearance, it's important to protect and promote collagen growth. Taking good care of your skin means taking care of your collagen. My name is Maha and I am 40 years old. I want to know if Collagen type 1 and type 3 will reduce my wrinkles and give radiance to my skin.